We are starting a 5 week coached session led by Portia – it starts this Monday 30 June last one Monday 21 July. The sessions are an hour long. Meet at 9.30am, David Lloyd reception. Each coaching session covers various aspects of running fundamentals (agility, balance and coordination) to aid running performance. All graduated runners welcome. This Wednesday is track night. 6.45pm Stantonbury track. Graeme and Spencer will be leading. Free to members and £2 for non members. These sessions are suitable for all. Looking for volunteers to help with road closures for the Newport Pagnell Carnival, on Saturday 5th July. This will be from 11.30 till about 2pm. Please let us know if you can help. 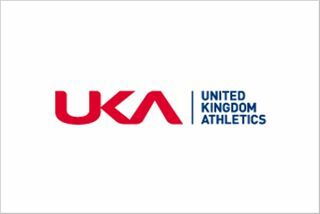 If you want to be in the club ballot later in the year for the London Marathon place(s) the club will hopefully get then you need to be a club member with UKA at the 30 June 2014 – and meet the other rules. So if you do not have UKA on your membership (or if you have not renewed or joined) then you do need to take action. Rules on the London Marathon ballot in the club can be found here. Use the club application form under ‘Join‘ above to also add UKA.